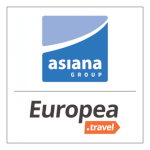 Asiana is a Multi-Brand Global Travel Company handling B2B and B2C Clients. Letuska, Europea Travel, Study, Eduthea and Visa are the main divisions. Asiana is a member of USTOA. Europea Travel is the Central and Eastern Europe DMC and Event Company. With more than 24 Years of Experience, based in Prague, it specializes in the organization & execution of Meetings, Incentives, Conferences, Events and Special Interest groups. Europea Travel is the right partner for you for a complete solution. Our in-depth knowledge of the region, leading position in the travel industry and creativity ensure our clients will enjoy a customized and successful program. A dynamic team of customer oriented, highly professional and experienced staff is responsible for providing our clients with smart planning as well as innovative and cost effective solutions, ensuring that each group’s individual objectives will be met. The Europea Travel team will always go an extra mile to help you design a tailor made solution for you. No matter what the event or the occasion, just name it.